Don’t buy Weight watchers branded food-it’s a rip off. One of the commonest new years resolutions is to lose weight. However today I went to to the two local supermarkets down my road and to my horror I saw weight watchers branded food. I am asking you NOT to buy it. It’s a rip off. Now I have nothing but the highest respect for weight watchers. I would strongly encourage anyone who is thinking of going to weight watchers to stop thinking and just go. However don’t do WW online. Go to a full group meeting. Don’t pay your £5 and get weighed once a week. Go to the full group meeting. If you want to lose weight I would suggest that right now you look for your nearest weight watchers group meeting and head on down. You can make your results that much better by going vegetarian or preferably vegan. We advise all our fat loss clients and those on mums in mind (where we livestream fitness classes across the internet- see below) to go vegetarian or preferably vegan. The serious ones who do all – without exception report a huge reduction of excess body fat very quickly. They have boundless more energy and feel much better. Its quite common for my clients to go to weight watchers. Their biggest asset is their group support. 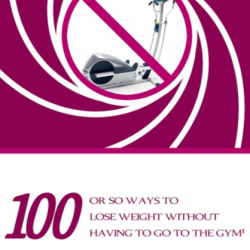 Any weight loss programme must be easy to comply with and it must be convenient. However today if you go to your local supermarket and you look at their branded food you can see its at least 50% more costly. You can get food of equal nutritional quality a lot more cheaply. Iwould advise cooking FRESH food according to proper advice. This compounds the number one cause of obesity- poverty. For your information here are the reasons why poverty is the number one cause of obesity. Food that is high in fat and low in nutrition is mass produced and cheap. Food that is high in nutrition and low in fat is hand produced and expensive. Those on lower incomes cannot afford it. Generally speaking people who are cash poor tend to be time poor. So they don’t have time to cook fresh food. Some people out there can only afford to eat one or two meals a day. If that happens then your body thinks nutrition isn’t coming regularly. The body will slow down its metabolism and will store as much fat as it can. It take 20 minutes for the brain to register that you have eaten. Such people stuff themselves making the problem worse – its worsened if that food is high fat. With the greatest respect in the world those who are cash poor can be less well educated. So they may not know what is best nutritionally and we apologize if that causes offence. Lastly those on lower incomes cannot afford expensive gyms and personal trainers. This is what makes me so angry when I see some trainers and hypnotherapists charging stupid amounts of money. Those who need them can’t afford them. Ironically when I first said all this in 2009 I was laughed at. Politicians didn’t believe me. My colleagues didn’t believe me. Doctors didn’t believe me. I was mocked by the media. I proved to be right all long. I went to my local supermarket and bought a load of Co-op own branded products and Weight watchers branded food.I have the receipts and I compared the nutritional content. On balance I would go for the Co-op own brand. On balance I’d go for the Co-op Own brand. Go to your supermarket and buy their own brand and cook fresh food and follow the recipes in the resources below.